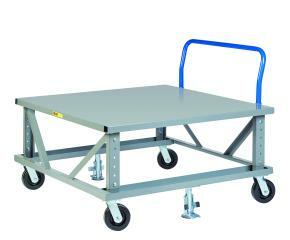 The Adjustable Height Mobile Pallet Stand with handle allows youto move pallets without a forklift! 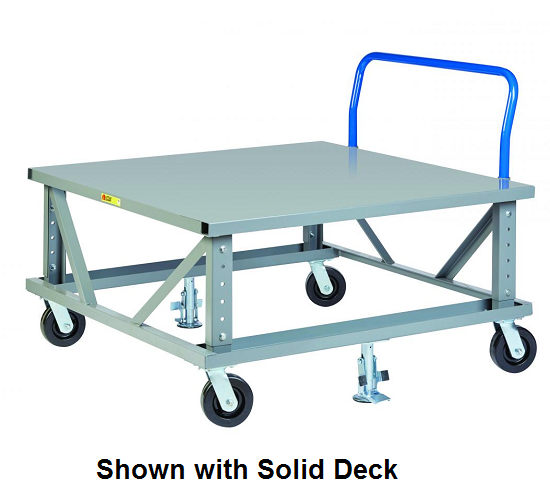 Platform height is adjustable between 24” up to 34” in 2” increments to optimize ergonomic height for bending and lifting. Rolls smoothly on 6” swivel casters with phenolic wheels with a 3600 lb capacity. 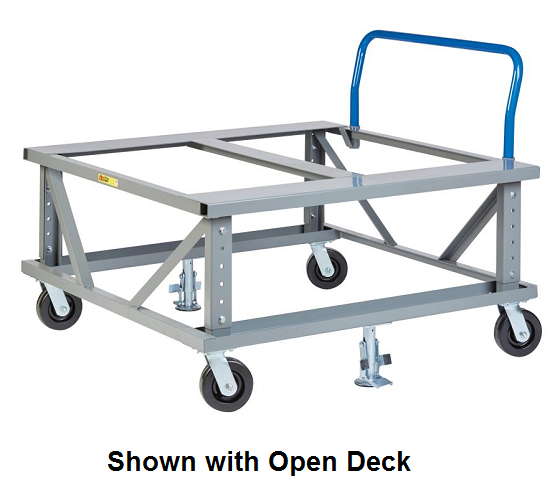 Dual floor locks keep unit in place when loading and unloading. Available in three standard pallet sizes. All-welded steel construction. Powder-coated for durability. Ships fully assembled. Choose between open or solid lower deck. Choose between open or solid upper shelf. See chart below for full specs. Love it. Product is used to help our workers from bending over multiple times when moving product from laser table to sandblaster. Will probably be back to purchase more!